The reservation system works really well. The concessionaire, Steve, does a great job and is very friendly and visible to the customers. We look forward to going over to "Sailors" much more next season. Had a great time. Steve is no nice and accommodating. Will definitely return. Maybe even next week. We are long time patrons of Sailors Haven Marina.. and we can’t say enough good about the new management here. Steve has brought back the old school marina feel, He remembers your names, grabs lines, offers a very nice and varied menu from a concession, is open to suggestion, is attentive to any issues that need repair and is trying very hard to create a community out here amongst the boaters!! We were starting to give up on this place... but he has won our business back!! Thank you ... it’s great to be back home!! Great stay this weekend, Steve is awesome Dockmaster and perfect host! Marina & facilities always clean. Steve and his staff at Sailors Haven are the best and go out of their way to make sure you are having a great time. One of my favorites of all the National Sea shores. Seas The Day had a great experience at Sailors Haven, First Island, NY. We entered the marina and easily found our boat slip. We were pre-notified by email with our slip # and when we arrived there was a "reserve" sign with our boat's name on it. Shortly, were met by the Dock Master Steve to assist in tying up our boat, it was expertly done. The staff was welcoming and friendly. The facilities were beautifully maintained, there is a concession area with seating on picnic tables and live music was provided both Friday and Saturday nights. Thanks Steve, to you and your staff for making it an enjoyable stay for us. Regards, The Faneilli's "SEAS THE DAY"
We have been going to sailors haven for well over 10 years We must say that Steve the new owner has been an absolute pleasure. He is definitely making changes for the better. He is a very friendly and personable man. What ever you need or inquire about he was there to help. I honestly can’t say enough about him. We have stayed in Sailors Haven on a number of occasions this summer. The marina is lovely, the beach is a short walk away, and the sunsets on the North Dock were always breath-taking. The new reservation system is convenient and easy to use. Steve, the Marina Manager, is an awesome hard working, friendly, and efficient guy who goes out of his way for boaters and ferry visitors alike. He is "Johnny on the Spot" no matter what you need! His staff is great. The Dockmaster Hailey always has a smile! Steve has made some great changes to the Concession Stand! The new menu and cocktails are a welcome addition. So are the earlier/later hours. By keeping the Concession Stand (Sassyfrass) opened later all of the Boaters can gather together in the evening in one place! We have known many of these folks for years it was great to sit together at the concession with them. I would say my only complaint has nothing to do with the Marina Management itself but rather with the Federal Parks Department. There are no hot showers and the showers that are there have no doors. I have never been to a Marina that doesn't have showers!! The beach itself was littered with snow fencing, pilings, and other debris. Why didn't the Parks people remove that dangerous debris? In addition, there is NO HANDICAPPED ACCESS TO THIS FEDERAL PARK/BEACH! REALLY!? Pre Sandy there was a ramp to get to the beach from the boardwalk, now there are only a steep set of stairs! Shameful! The Electric Service in the Marina leaves much to be desired. There are slips that are 15, 16, 17, 18+ feet wide and they only have a single 30 amp service? Really? These slips easily accommodate 40, 50, 60 foot boats. They should have the correct Electrical hook ups!! There are a few wider slips with 50 amp service but more are needed! All slips over 11 feet wide should have two 30amp hook ups or a 30 and a 50 amp hook up! Apparently the service was replaced post Hurricane Sandy but in typical bureaucratic government fashion they didn't have the sense to update the service. To further frustrate matters Watch Hill did upgrade the service but when you go over there you need a blood transfusion by the end of your stay (mosquitoes). I hope Steve will be staying on as the Marina Manager he really is awesome! I also hope the Parks Department gets its act together and does something about the debris, shower doors, Handicapped access, electric, etc... preferably THIS WINTER!! Steve Connor is the BEST thing to happen to Sailors Haven Marina in a long time! Never before has there been such personalized service. The reservation system is great. Slips are marked with "reserved" signs to avoid confusion. Steve tries to greet each boat as it pulls into the marina or sometime thereafter. He has created a family-like atmosphere amongst the staff and boaters, alike. The addition of adult beverages and musical entertainment for "happy hours" on weekends is his brainchild and has added to everyone's enjoyment. Steve has also hired a super new cook, Zack, and has opened the snack bar earlier for breakfast. No more waiting for the first ferry to arrive and the staff to get situated in order to get an egg sandwich. The gift shop is stocked with more useful items and souvenirs than in previous years. Kudos to whoever made the decision to award Steve the contract to run the Marina. I hope Steve will continue on at Sailors Haven for a long time. Great sunset and bay views! Great marina - great staff = great experience! We had a great day, Sailor's Haven marina is wonderful! This was our fourth trip this year and we will be back as soon as we can! We have been to Sailors Haven before and always loved it, but this is a different kind of review... it’s a review of their excellent service and cancellation policy. I reserved a slip a few days ago and Steve was able to get us next to two of our friends(awesome experience being able to reserve!!). Then on the day we were supposed to arrive at the marina, we woke up to nasty wind/weather conditions. We decided not to go and messaged the marina(through the Dockwa app) that we would like to cancel our reservation.... I received a response within minutes stating that we were cancelled and a full refund was issued. Can’t wait to get there next weekend!! Great service Steve... thank you!!! 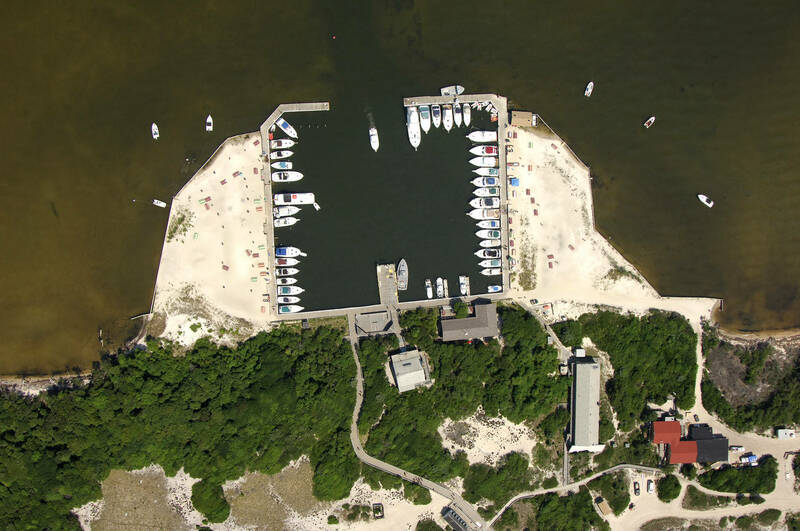 Beautiful beach, clean marina, exceptional staff that went over the top to be helpful! We would go back every chance we get! Very friendly and helpful staff. Made for a great weekend. Great stay , super staff !!! Small and calm marina with Steve as Dock master made it very welcoming, he’s like a great Innkeeper and concierges. NOT worth the exorbitant rates! Check out other options! There is reasonable anchorage on the west side of the channel in. Things they say they have but don’t really: NO showers. What they have is merely a beach rinse off. It’s outdoor and exposed, no curtain, and no hot water. NO functional pumpout. Marina staff has no idea when it was last functional or when it will be repaired. NO free wifi. A wifi service is available for those who pay a subscription fee. Power is available through an old style, seen-no-where-else-anymore plug types. Regular customers here have a specific adapter and brought it with them as they knew, in advance, what type of connector is on the pedastal. And the fees for electric are absurdly high. $14.00-$18.00 for 30 and 50 amp but only through the old plug type. This marina, in past summers a hive of summer activity, is now nearly empty most of the time. I assume, since the rates went way up this year, all the boaters that came here in previous summers, have now found more reasonable summer fun spots. This marina is essentially over priced beach parking. We are cruisers and have pulled into marinas all along the east coast and out to The Keys. Every marina we’ve used, even the most basic, offer hot showers and free wifi. I understand fresh water is a difficult proposition on this island, however, if a marina cannot cover some of the basic expectations to be found in marinas, they cannot charge fees higher than many marinas who do offer these items. Great time as usual. Steve is doing a great job since taking over marina responsibilities this year. Hailey is always helpful with a smile as dockmaster. Steve the dock master is Great Staff is friendly How ever its very frustrating that after all these years the marina still does not have 50 AMP 230 V the two biggest slips in the marina 21 and 22 have 30 amp Even plugging in at the barge slip still can't obtain power. Please forward this to the proper personal so i can enjoy my stay along with many other guests I'm sure, and see to it that we don't have to run our generators during our stay. Although most stayed home due to the weather forecast glad we went. Steve is awesome. So curteous and helpful he makes us feel so welcome. We basically had the marina to ourselves. We will be back soon. Another Great Stay, a ​new chef with great food. Have been coming here for years. Never dissapoints always a great place to visit and relax with my family and the boats. This vacation was much needed and everyone at sailors haven was fantastic! Steve the head of operations was an awesome guy! Super nice down to earth person with a great personality always looking to better your time here and sailors haven as a whole. I’ve come here for over 10 years and it was obvious this year they stepped up and put a little time and work into the marina putting in all new poles and electrical for the boats. Pairing the Dockwa app with the reservation process for easier booking. Can’t say enough good about sailors haven steve and all the staff here. All great people and will be back in August for a weekend trip. See you soon steve! Steve the manager was awesome and accommodating, and Sailors Haven is fantastic! Our stay was nice. Staff was very helpful and pleasant. Some Dock power issues that have to be assessed though. Thanks. We love Sailor's Haven. It is a clean, beautiful beach and marina. We love the fact that it is family oriented and quiet. The dock hand (Hailey) is helpful and nice. We look forward to another visit. We had a great time there and the help was very nice. Steve was a pleasure to deal with and runs the place well. We are coming back at the end of August. Sailors Haven is always a wonderful stay with all its nature. This time is was extra special meeting the new manager Steve who is the absolute nicest person. He made it even more memorable. Perfect! Dockwa cannot process discounts for some of our specials automatically (Frequent Floater, Weekender & Midweek), so please Chat or send a Special Request through Dockwa to receive the appropriate refunds or discounts! If for some reason we miss applying your discount by the time of your arrival, please check-in with a dock attendant or the Dockmaster to make certain you receive your full discount. Visitor services are open 7 days per week including snack bar, bar with frozen cocktails, scoop ice cream and general store. 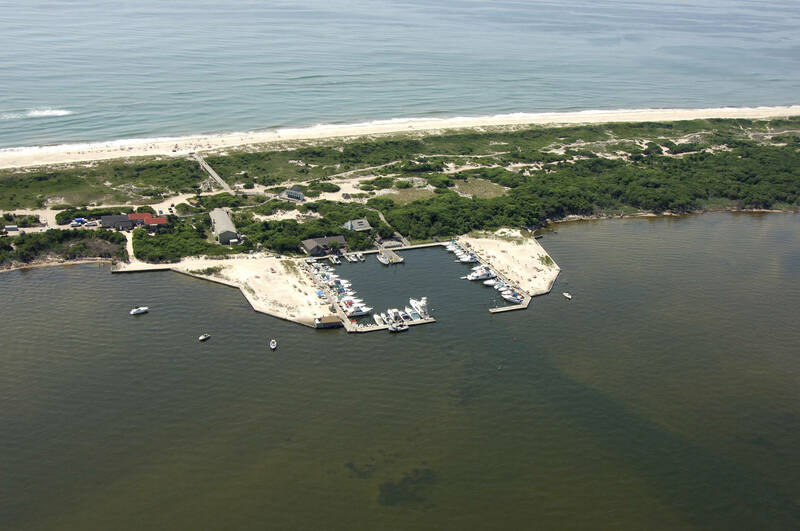 Sailors Haven -- The Crown Jewel of FINS Sailors Haven is home to one of the best known areas of Fire Island National Seashore—the Sunken Forest. 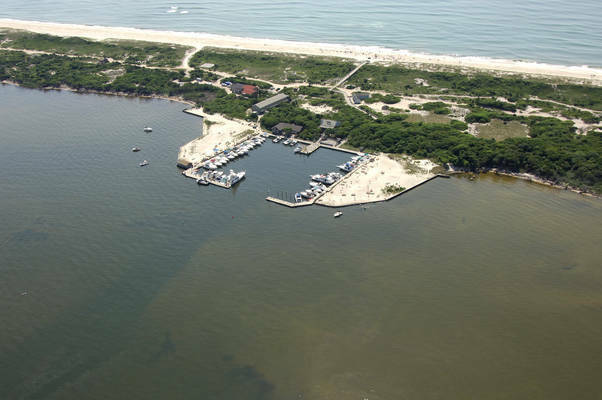 It is located near the center of the island, across the Great South Bay from Sayville, New York. It is accessible by Sayville Ferry, private boat, and foot only. The well-developed secondary dune system and rare maritime holly forest are among the natural features at this site. Join a ranger-guided tour of the globally-rare Sunken Forest, seine in the Great South Bay, or comb the beach for sea shells. Explore the touch table and fish tanks in the visitor center or grab a bite to eat, glass of wine or frozen cocktail at the Sassyfras cafe at the Sunken Forest and a souvenir the gift shop. In addition to a one and a half mile long boardwalk trail through the Sunken Forest, Sailors Haven also offers a visitor center; snack bar; gift shop; picnic tables and grills; lifeguarded beach in summer; a 45-slip public marina with electricity, water, restrooms and showers. The Sailors Haven Marina can accommodate boats with beams between 10 and 18 feet with a five foot draft. The majority of slips are between 10 and 14 feet wide. All slips have electric and water (extra fee charged). There is a 14-day limit for each stay but you can reserve often. Request a reservation with us today! Visitor services are open 7 days per week including the Sassyfras cafe & snack bar at Sunken Forest, a bar with beer, wine, & frozen cocktails, scoop ice cream and a general store. NOTE - our sister marina at Watch Hill FINS offers seasonal slips. Live Music, Programming & Kid's Birthday Parties in the National Park We have live music scheduled for most weekends summer and shoulder seasons. We have scheduled three @fishguyphotos multi-media wildlife presentations at Sailors Haven and three more at Watch Hill. All ages love the programs all about wildlife in FINS -- Exploring Long Island's Underwater World, Birding with the Fish Guy, From Plankton to Whales-Why Our Waters Are Worth Protecting, and Long Island's White Shark Research! Children Birthday Parties in the Park are our exciting new offering for children to enjoy their birthday day not only at the beach but in a National Park, learning about its resources. Contact us for affordable packages that include lunch and ice cream under our shaded pavilion at the Sassyfras. 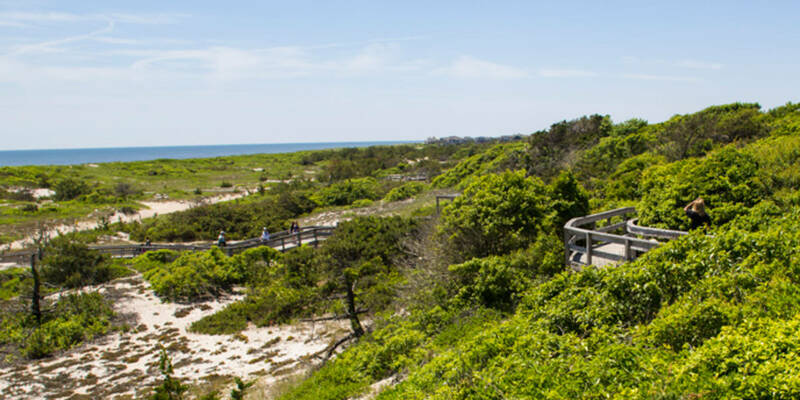 Party times may be coordinated with free National Seashore interpretive ranger guided programming such as seining and the Sunken Forest nature walk, hands on interpretive FINS Visitor Center and, of course, becoming a Junior Ranger! Pets are Welcome! Pets are not permitted on the ocean beach at Sailors Haven from March 15 through Labor Day but are permitted elsewhere. You're welcome to bring your dog, but remember that this may restrict your options for enjoyment of Sailors Haven. Pets must always be leashed, and you're required to properly dispose of your pet's excrement. Enjoy all Fire Island has to Offer but Affordably Sailors Haven has regularly scheduled water taxi service to most communities on Fire Island from Kismet/Saltaire/Fair Harbor/Atlantique to Ocean Beach/Seaview/Ocean Bay Park to Cherry Grove/Fire Island Pines with service to Watch Hill by request. 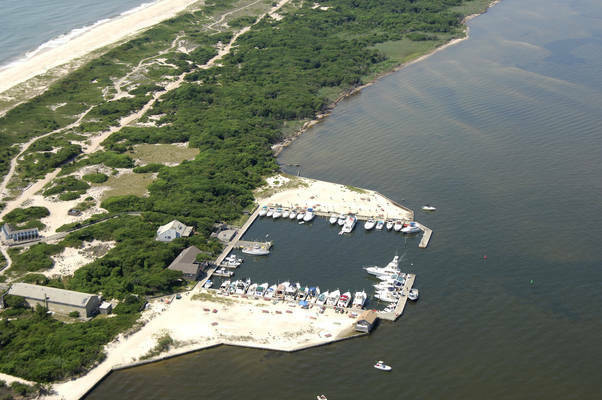 Cherry Grove is a short walk, Point of Woods and Ocean Bay Park a little longer. 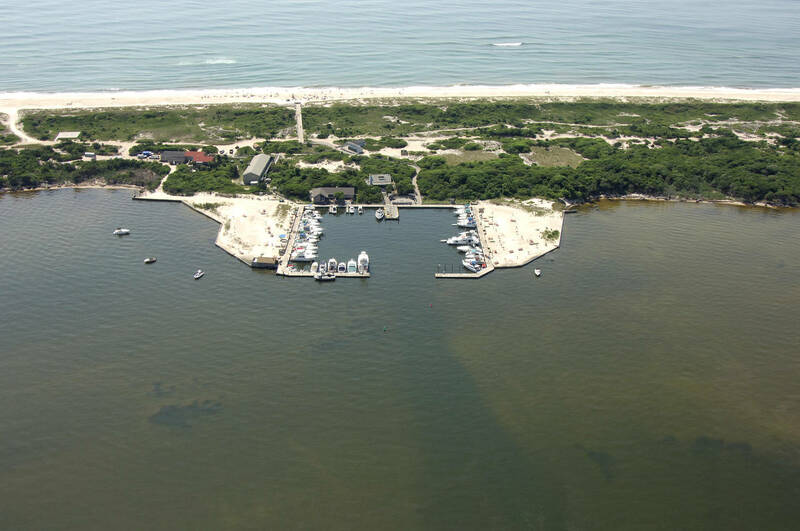 Sailors Haven and Watch Hill are two of the more affordable marinas on Fire Island without the resident restrictions of Atlantique and Davis Park. Boating Clubs We welcome all boating clubs and power squadrons and can provide catering and great value. Please contact us for special events. Catering & Special Events We are authorized by FINS to do special events from birthdays & anniversaries, non-profits, company picnics, boating clubs, graduation parties, and engagements to weddings. Please contact us for special events. Weekend & Holiday "Minimum Rates"
Allow us to clarify our weekend rates. There are NO rate minimums for same-day bookings in the peak summer season nor is there ever a rate minimum for advance or same-day bookings in the shoulder seasons, except for Memorial Day weekend. In other words, FIRST-COME-FIRST-SERVE boaters can book one weekend night on a summer weekend or reserve day of. If the sun’s out, swing by! For advance booking only, Summer weekends (F,S,S) have a two day rate minimum, Memorial Day weekend a three day rate minimum, and 4th of July & Labor Day holiday weeks are a five day rate minimum. In other words, it's best to book the minimum number of days in these periods to get the best value but boaters are not limited in booking fewer days than the minimum rate. Without this type of advance reservation restriction, boaters who want to book the whole weekend or holiday period in advance would be blocked by boaters taking one night, both boaters and the operator would be impacted negatively and advance reservations would not be sustainable. The boater looking for one night who does not wish to pay the minimum rate (when applies) is best served by FIRST-COME-FIRST-SERVE and same day reservations (no restrictions). Additionally, as indicated in the Cancellation Policy (link below), for advance reservations for 4th of July & Labor Day holiday weeks your initial deposit is refundable (minus the $10 non-refundable reservation fee) only if you cancel fourteen (14) days or more prior to your reservation arrival time and the regular cancellation schedule for partial refunding of initial deposit does not apply. No shows without cancellation prior to arrival time are still subject to the full reservation payment for these two holiday periods as with any reservation. Our marinas have had recent electrical upgrades with GFI protected circuits and boats should be tested for ground faults prior to arrival. All boat slips will be assigned by Dockmaster. Registration must be available to Dock attendant. Changing of slips is prohibited without approval of Dockmaster. Any boat occupying an unassigned slip will be subject to a fine and/or removal. D Land at Watch Hill will only be available for vessels 37 ft or greater. The Dockmaster may assign smaller boats into larger slips. The Dockmaster has the authority to reassign any boat. 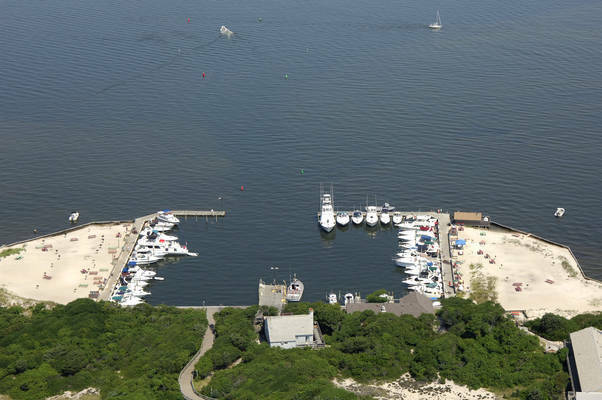 Boats may leave the marina after payment of dockage fee or after checking-in for an advance reservation and return to same slip provided a line is placed across the slip diagonally. Quiet hours must be observed from 10:00 PM to 6:00 AM. Except for seasonal slip holders, boaters are limited to fourteen consecutive nights per visit/reservation during the Peak Summer Season (June 27 – September 2 for 2019). No swimming and dumping of any waste water from lavatories in marina. Fires of any type, for any purpose, are prohibited within the park boundaries. No grilling permitted on vessels within the marina. Charcoal grills are provided behind bulkheads along marina. Cooking grills of any type must be at least 10 ft behind marina bulkheads and not allowed on docks. Dinghies may be allowed to be tied in front of docked vessels only if they are capable of being immediately lilted onto that bow of that vessel. No docking is allowed in front of restricted and signed areas or emergency bulkhead or at T section at end of A/B pier at Watch Hill. The designated fire lanes must remain open for emergency and accessibility purposes. Deck chairs, folding tables or any other articles are not permitted in this area. Tables are prohibited in the corner behind the NPS Visitor Center at Watch Hill for our visitors with accessibility needs to be able to reach the required ramp along B-land. Bicycles, scooters and skateboards are prohibited on walks and around the marina. Tampering with the electrical outlets, panel boxes or wiring is a criminal offense. Anyone caught doing same will be federally cited and removed from the marina. Jet skis are not permitted at Watch Hill and Sailors Haven. Dog owners are responsible for all their dog's actions. Dogs must be on a leash no greater than six feet leash at all times and must use marina pet comfort areas. Specials are subject to change at any time without prior notice. Because our reservation system on Dockwa cannot process discounts for some of our specials (Frequent Floater, Weekender & Midweek), discounts need to be processed manually by the Dockmaster. If for some reason we miss applying your discount by the time of your arrival, please check-in with a dock attendant or the Dockmaster to make certain you receive your full discount. FREQUENT FLOATER SPECIAL – with 12 paid daily weekend slips at standard or holiday rate enjoy a free daily slip on us. Shoulder weekend and holiday rate slips may be used in accrual. Weekender and Weekly Rates count as 2 weekend days (3 for Memorial Day Weekender). Not transferable to other boats or owners. You must be registered as a Dockwa user in our slip management system with Dockwa reservations for tallying your days (you get email receipts w/ Dockwa for your records). WEEKENDER SPECIAL – Shoulders $6.00/ft. Book F,S,S by arrival on Friday & get Sunday $1/ft. Memorial/Columbus Day $8.50/ft. Book F-M by arrival on Friday & get Memorial/Columbus Day $1/ft. Summer Season $7.50/ft. Book F,S,S by arrival on Friday and get Sunday half off, not valid Summer Season holiday weeks. SUMMER SEASON MIDWEEK SPECIAL – $4.50/ft. for M-Thurs. Get consecutive Thursday FREE if book M,T,W, not valid week of the 4th of July or week preceding Labor Day weekend. WEEKLY RATE SPECIAL – weekly rate combines Weekender and Midweek Specials, rates slightly higher on specified holiday weeks. Summer $12/ft. Summer Holiday $15/ft. Shoulder & Columbus Day Holiday $9/ft. Memorial Day Holiday $10/ft. DINNER DOCKAGE SPECIAL – Free hourly dockage at Watch Hill only when dining at our Whalehouse Point restaurant. On Peak Summer weekends it's limited to after 4:30 P.M. Boaters must pay first but will be reimbursed upon presenting their dinner receipt to the Dockmaster. Weekend hourly slips may be limited in availability and are at the sole discretion of the Dockmaster. Feel free to call ahead. 1:00 P.M. LATE CHECKOUT SUNDAY BRUNCH SPECIAL at Whalehouse Point restaurant when slips are available (check with Dockmaster first). Offer applies to boaters with receipt for paid brunch, at Watch Hill only, and is at the sole discretion of the Dock Master. Offer applies to the Monday on holiday weekends (not on Sunday). Separate & recycle all solid waste and materials including compostable items in provided bins. Follow directions when using the pump out station. 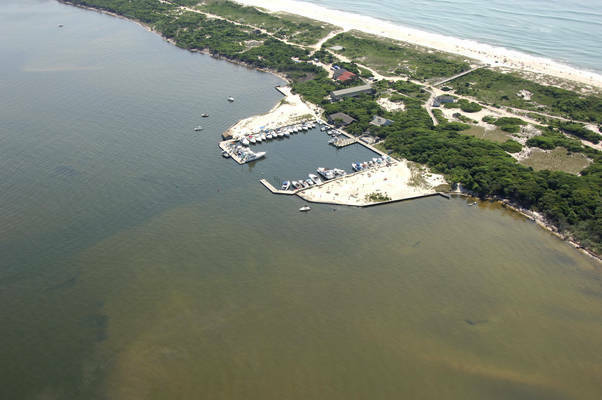 Conserve water - limit time for boat cleaning and report leaks. Conserve electric - turn on water heaters and air conditioning only when needed. Report immediately any spill of fuel, waste or oil products. No maintenance on vessel is to be performed in the marina.